Giveaway: Thanksgiving Gift Baskets! 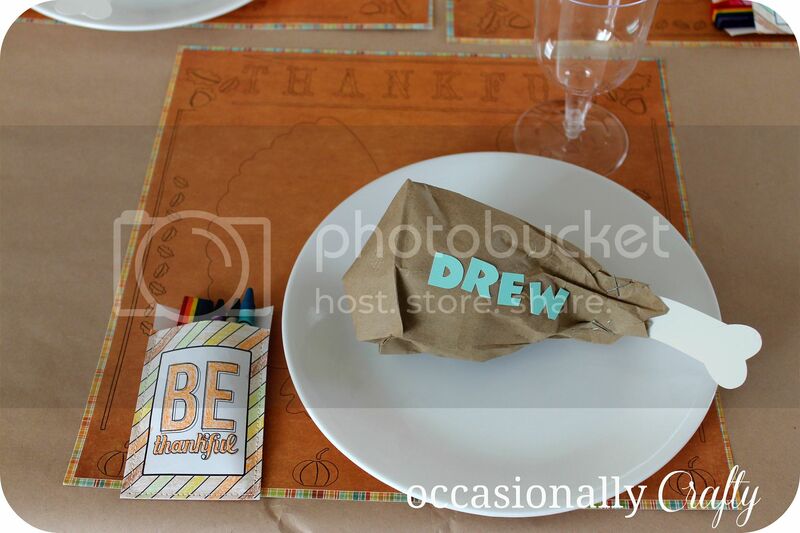 | Occasionally Crafty: Giveaway: Thanksgiving Gift Baskets! Thanksgiving is all about food, family, and fun. But what do you do if you're far away from your loved ones? That's me most years. My dad and his wife live across the country, and my mom, brother, and sister all live in Colorado (several states away). If you're like me and far away from your family, consider sending a basket full of goodies to them! All About Gifts and Baskets offers a large variety of Thanksgiving baskets and goodies to send to your family and friends. I'm partial to this Dipped Oreo Chocolate Wheel. I love Oreos, and these are so festive and fun! This Fall Log Cabin Planter is filled with delicious Fall treats like Ghirardelli chocolates, smoked summer sausage, almonds, Brie cheese spread, and more. If you're looking for something a little healthier this Fall Cornucopia is filled with fresh apples, delicious cheese, nuts, and more. Now for the best part: I'm teaming up with All About Gifts and Baskets and nine other blogger friends to bring you a delicious giveaway! Two lucky winners get to choose their favorite gift (up to $80) from over 40 great designs on the Thanksgiving Gifts page. Enter the giveaway using the rafflecopter widget below. There is a mandatory entry: leave a blog post comment. After that is completed, other optional entries will appear. All entries will be reviewed and duplicate or incomplete entries will be removed. Winners must be 18 years of age or over and must reside in the continental United States. The winners will be chosen at random by All About Gifts and Baskets. Winners will be notified via email and must respond within three days of being contacted. Otherwise, another winner will be chosen. I love the Harvest Bounty Wine & Gourmet Basket, how perfect that would be to share on Thanksgiving. I like the Autumn Snack Attack Gift Basket. This has some of my children's and my favorite snacks. I like the Touch of Gold Gift Basket. It has a nice mixture of goodies, and I especially like that it includes chocolate truffles. The Thanksgiving Gourmet Snack Gift Basket sounds great. I'd love to win this for my family. I think I would like the Snack Attack basket. However, the Fabulous Fall Log Cabin basket has something for everyone, chocolate for me and sausage for my husband. Plus cheese. You can't go wrong with cheese. I like the Autumn Favorites Snack Basket, (http://www.aagiftsandbaskets.com/autumn_favorites_snack_basket.html), it is really filled with yummy items. They have nice baskets for Christmas too, thanks for the chance to win. My favorite is the Fabulous Fall Log Cabin Gift. It has a little bit of everything! Godiva Great Gifts Chocolates basket looks super tasty! i love holiday gift baskets! I like the Harvest Gourmet Celebrations basket. It has an awesome assortment of goodies. Something for everyone. I like and would love to try the Thanksgiving Chocolate Oreo Box! Looks so yummy and I love the decorations! My favorite Thanksgiving basket is the Fabulous Fall Log Cabin Gift. I'd choose that because it would make a great gift for my grandpa & grandma! The Gourmet Gathering Gift Basket looks amazing! I don't know if I would spend nearly $200 on it but man it looks so very tempting. I Love the Tastes of Fall Gourmet Gift Basket and the Chocolate Dipped Oreo box, I just can't decide. Thanks for the chance to win. Looking forward to reading your blog!